Looking for the best and most accurate tools for weather updates is common among many people. As a result, installing multiple weather related applications on a mobile device in order to receive a range of weather information is required. This includes forecasts, prior weather alerts, and up-to-the minute notifications which can be scattered across apps due to the lack of features with a single application. On the other hand, Hello Weather by Pop State Co. is one such weather application that removes the need to have several weather related apps. 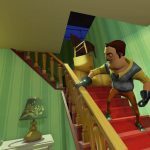 With the trend among developers who create weather applications being to overcomplicate the process and interface due to the desire to add as many functionalities as possible, friction occurs between the users and the application itself. 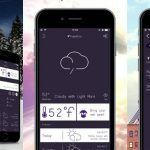 Hello Weather oppositely simplifies the app by providing only the relevant information related to weather instead of non-essential details. When users initially open the app, they are presented with a user-friendly interface that has only the most important information on the main screen in order to avoid scrolling and visiting additional pages in order to gain access to the information that they want. While competing weather applications exist on the market that are able to provide comparative and similar information regarding the weather, Hello Weather boasts speed in delivering updates to keep its users up to speed on the changing weather conditions. Further to this, the interface has been specifically designed in such a way that it is able to facilitate quick reading so that any changes can be seen at a quick glance to provide real time information. With the growing number of apps available to report the information, it is extremely difficult for Hello Weather to stand out. One feature that has differentiated it from a simple reporting app has been the ability to adapt intelligently according to the changing conditions by delivering both simple and more sophisticated information for those who want to know more about the current weather. Through delivering extra information such as barometric pressure, dew point, and wind speed with just the tap of a button that is presented in a clear and easy to understand format, users don’t need require any special knowledge in order to figure out what is displayed. 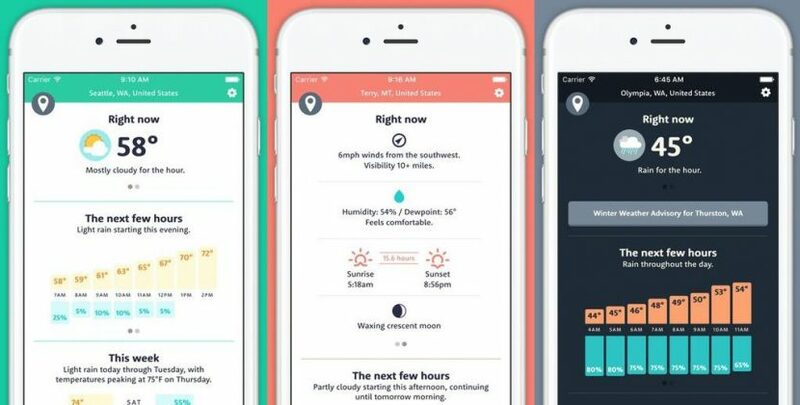 To further stand out from the existing competition, the app has introduced a unique background that is able to adapt to the changing weather conditions. With this, the interface changes according to the weather in order to give a more personalized feel to the users. This has been achieved through different color themes that match with the weather such as a gloomy color scheme once it is raining or a more upbeat tone when it is sunny and bright outside. For premium features, in-app purchases are available such as rainfall estimates or permanent night mode for a better viewing experience in the dark. 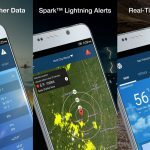 With all of the basic functionalities made available for free, Hello Weather is one of the most comprehensive weather apps available and is a must-have for those looking to get quick and easy weather updates.